OMG Posters! » Archive Original Drawings and Scratchboards from Bleeding Finger Studio (Onsale Info) - OMG Posters! Bleeding Finger Studio (aka Craig McCudden aka Tapecat) will release a number of pen+ink drawings and scratchboard originals tonight. His pieces are absolutely beautiful, the detail is unmatched. The pricing is also very reasonable. Everything goes up tonight (Friday, May 20th) at 7pm Eastern Time. To see them all, plus more pictures, visit BleedingFingerStudio.org. 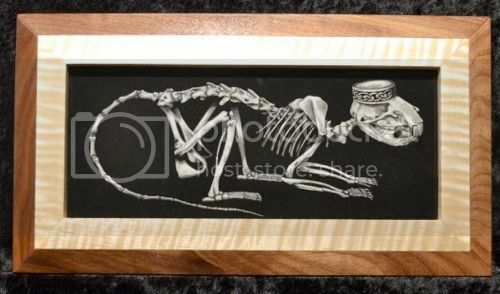 All hail Lord Tapecat, ruler of the scratchboard!! 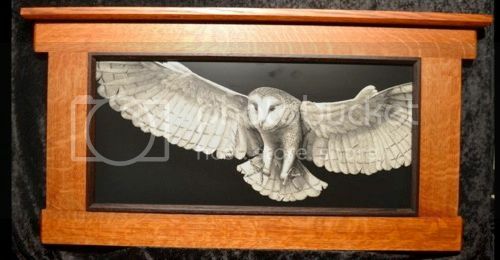 wow – not only is your work phenomenal; but whoever makes your frames is one hell of a craftsman! 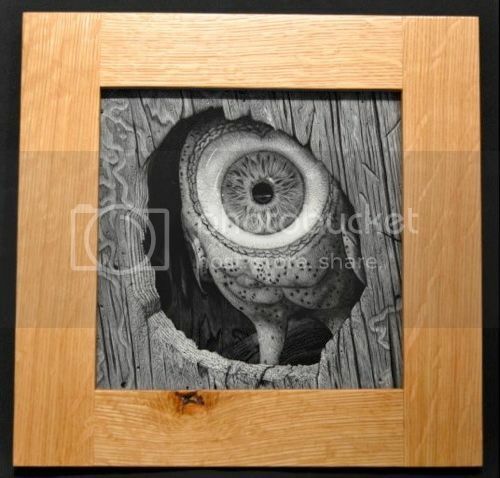 If I had the scratch (pun intended) to buy “Returning to the Roost” it would be hanging in my living room to compliment the Horkey Mogwai which I framed in a reclaimed chestnut frame. He makes his own frames. I have one of his originals and I must say, they are insanely beautiful. If you like one of his OGs, GRAB IT. You wont regret it. I also have one of his OG scratches and they are completely ridiculous. If you can pull the money together to buy one they are totally worth every penny. And the man can also make some crazy frames. His Horkey Converge frame is probably the most badass custom frame job I have ever seen. Ridiculous and insane are right, Baker! If only I had the money for one of them right now… they are certainly worth the price for such detailed pieces. Tapecat is one of the most talented artists out there… up there with EMEK in my eyes… he does it all, master of all mediums!!!! !